Burnout happens when helpful pressure goes on too long, or is allowed to rise to an unhealthy level. Where burnout leads to a loss of a role or the experience of “failure”, it may produce guilt or shame or low self esteem, which get bound up in the experience of low mood and depression. There are connections with chronic fatigue, exhaustion, lethargy and depression. Warning signs include: sleeplessness; persistent feelings of nervousness; low mood, tears, lethargy and exhaustion; poor judgement and moral lapses. Practical steps: give others permission if they notice signs; conduct regular reviews; find someone who can speak truth into our situation. Conclusion: I will serve the Lord. Don’t be soft! Luke 9. 23–24. Don’t despair! There may be scars, and some of those scars may be unavoidable; but always there is grace in our weakness. Do a self-check. Am I giving myself enough time for sleep? Am I taking care with regular days off? Am I investing in godly friendships? Am I self aware about how God gives me inward renewal? How much do I care what people think of me as a Christian? Do I believe the promises of God? Am I rejoicing in the free grace of God towards me? Make a resolution. I am – and will never, this side of the resurrection, be more than – a creature of dust. I will rest content in my creaturely weakness; I will use the means God has given me to keep going in this life while I can; I will allow myself time to sleep; I will trust him enough to take a day off each week; I will invest in friendships and not be a proud loner; I will take with gladness the inward refreshment he offers me. I will serve the Lord Jesus with a glad and restful zeal with all the energy that he works within me; but not with anxious toil, selfish ambition, the desire for the praise of people, and all the other ugly motivations that will destroy my soul. So help me God. 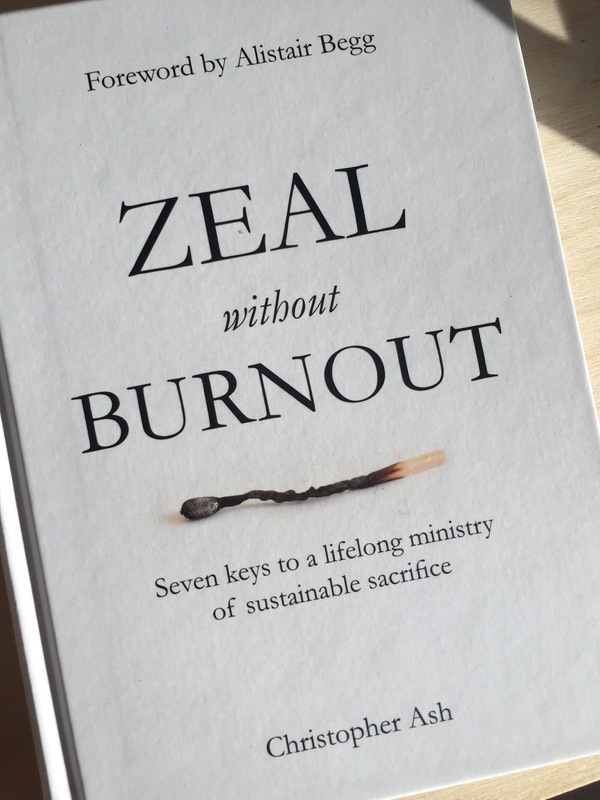 Burnout is prevalent in church leadership.² How do we avoid it? Not by becoming lazy, but keeping ourselves, “fuelled and aflame.” (Rom 12:11 MESSAGE) Christopher provides us with seven simple but profound practical truths to maintain spiritual fervour instead of experiencing spiritual failure. These apply to those serving in Christian ministry, whether on staff of a church or not. Anyone practicing the seven keys with diligence will undoubtable find refreshment and renewed faith. The most important aspect of maintaining spiritual health while under strain is soberness, “So if you think you are standing, watch out that you do not fall.” (1 Cor 10:12 NRSV) A buyer of the book is, presumably, aware enough of their challenges to recognise the symptoms of burnout either in full view or coming over the horizon. However, we are not the best judges of our fitness and need books like this to conduct a periodic review. I recommend this as a readable and succinct book that could be best used by pulling it off the shelf at least once a year for a checkup. Christopher reminds us that sacrifice (good) is not the same as burnout (bad). Statements such as, “I would rather wear out than rust out” (George Whitfield) may be well intended, but smack too much of machismo. The problem with burnout is not simply the effect it has on us, but also on colleagues, friends and especially family. In essence, burnout is avoidable and thus is akin to selfishness. We are called to present our “bodies as a living sacrifice,” (Rom 12:1 CENT) – not a dead one! It helps to remember that we are creatures of dust (Gen 2:7; Psalm 90:3; 103:14). An encouragement: it’s worth it! Rather than go into detail, I’ll simply add a couple of points not covered in my vlogs. Each short chapter reviews differences between us and God. We have needs that He does not, and thus we do well to take advantage of the resources He has provided to continue to do the work He has in mind for us. Christopher carefully treads the line between self-care and selfishness. Christian work does make you tired! Paul and others had “sleepless nights and hunger” (2 Cor 6:5 NIV11). Our writer is not advocating a comfortable cross, but a sustainable life of discipleship. In essence the book is concerned with self-awareness. Once we are aware, we then must be humble enough to surrender any fears or selfish ambition to God. Hard to do unless we also share our predicament with at least one trusted friend. Perhaps, if I have a criticism of this book, it would be that it lacks detail on what to do when you find yourself in a place without ‘safe’ people around. It’s a situation I have faced in the past as do many in Christian service. I’d like to have heard Christopher’s thoughts on this topic. The book’s brevity does not indicate a superficial treatment of this vital topic. 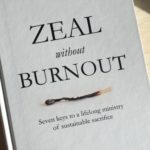 There is enough between the pages to bless your burnout – or even prevent it in the first place. A more detailed exploration of many of the themes can be found in the works of Gordon MacDonald (“Ordering your private world”, “Restoring your spiritual passion”, “A resilient life” and others). Let’s hope and pray that we can live out the instruction that Paul gave the Romans, and that he himself lived, “Never be lacking in zeal, but keep your spiritual fervor, serving the Lord” (Romans 12:11 NIV11). ² In the USA it is estimated that some 1500 people leave pastoral ministry each month due to burnout, conflict or moral failure. A third of pastors say they feel burned out within just five years of starting ministry, and almost a half of pastors and their wives say they have experienced depression or burnout to the extent that they needed to take a leave of absence from ministry. A delight: rejoice in grace, not gift – Luke 10.17–20. Rejoice that your name is in heaven, not in achievements. If joy is to motivate us to gospel work, then joy must be rooted in something outside of the fruits of our work. When our joy comes from our gifts and our successes, we will always be under pressure. The remedy is to glory much in grace. It is a privilege to be used in ministry; but it is a much greater privilege to be recipients of grace. Jesus said, in John 4.31–34, “My food is to do the will of him who sent to me and to finish his work.” He finished that work, John 19.30. Jesus work ended – so it seemed – in failure, but we know different – 1 Corinthians 15.58. Lord, make my life of service worth something; make it sure. May it be that, at the end of time, this collection of dust, this temporary mortal frail feeble sinful Christian may have achieved something by your grace that will last to eternity. Ministry is ministry in a messed up world. And there is Grace in the disruption, for it humbles me; it shows me afresh my total dependence upon God. John 5.41 – Jesus did not accept glory from human beings. We have chosen a work the world despises, or at best considers marginal and odd. We are unlikely to get affirmation from the world, therefore it is all the more tempting to seek it from the congregation, or other church leaders. Psalm 146v3 – do not put your trust in princes. Suggestion: pray that Jesus will grow greater and we will grow less, John 3.30. We follow a master who “did not please himself” – Romans 15.3.